In a world that is filled with various knife styles, sizes, and uses, it is only fair that you have a favorite. There are so many to choose from, but yet you constantly keep going back to this particular knife time after time. This is literally your automatic go-to survival knife. It is always in your gear, and sometimes it is always on you. Below are a few of my favorite survival knifes. This is a really popular folding knife that I always carry around with me. It has a loud signal whistle, LED flashlight, and spark rod in this awesome little package. It has a 3 inch 50/50 serrated blade. The flashlight is stored in the knife handle. It also has a magnesium fire rod attached to the aluminum housing that the knife is in. The US Marine Corps use this as their go to knife. It weighs under a pound, and has a 7-inch blade that is made out of chrome vanadium. The handle is made from Kraton G. I love this knife because it is easier to be sharpened in the field, and has a better carving ability. This is a rugged and dependable knife that will get the job done. It isn’t any wonder why this is the knife of Marines. 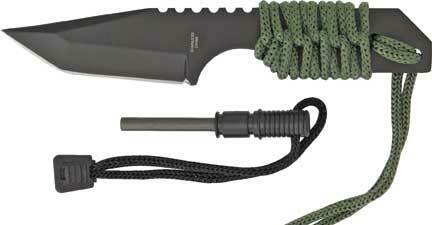 If you are a person who survives on their survival gear, then you need this survival knife. It is made of carbon steel that has a zinc-phosphate finish, which keeps it from getting rusty. The leather handle has deep grooves that give it a great grip, even when you hand is slippery. The end is strong enough to use as a hammer. It has a cross guard that can turn into a spear. It has a 5-inch blade and comes with a sheath and sharpening stone.